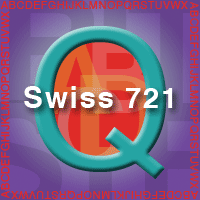 The Swiss 721 font is an eye catching font that offers excellent view to typeface lovers. The font is a treat to the eyes. Easy to use and modify as per the artist’s requirement, the font is simply incredible. The creator of this font is Max Miedinger.